Yay!! 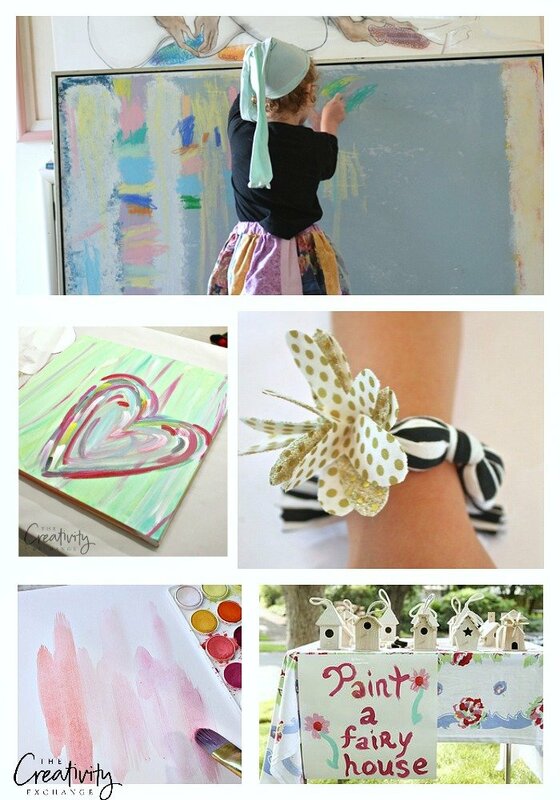 Summer is finally here and coming up with creative summer craft projects for the kids is always a challenge! Today I wanted to pull together a nice list of some of my past kids craft projects and a few others from Blogland to inspire you with some great projects to keep the kids busy and creative! 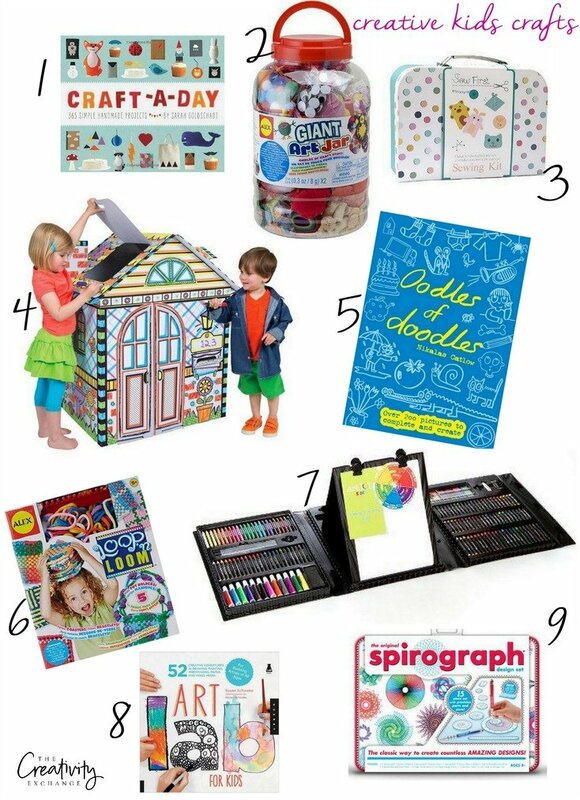 Also, at the end of today’s post, I pulled together several of our favorite kids craft kits and art project books that you can buy that we have loved for even more creative ideas! One of my favorite past kids craft project are these fun bracelets and necklaces made with wooden beads that is so easy to make. 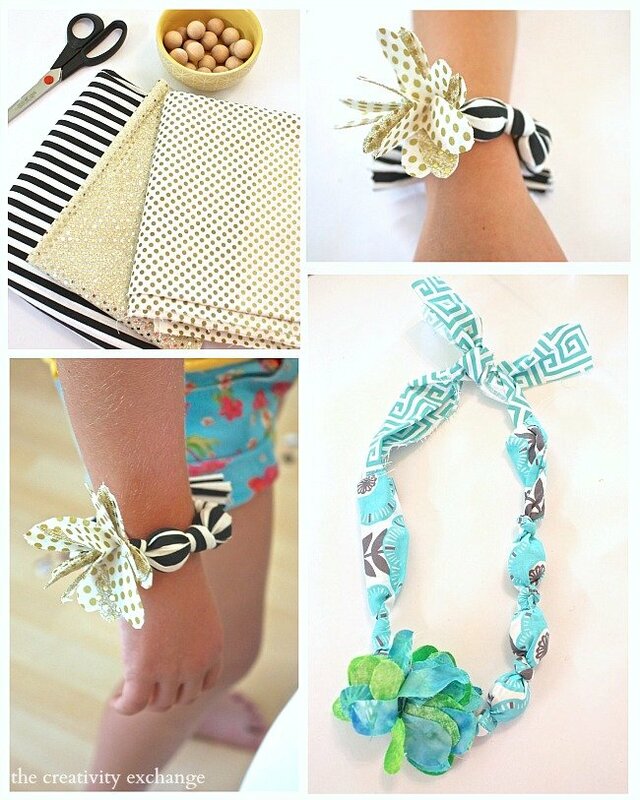 All you need is scrap fabric and wood beads! Another fun jewelry kids projects are these fun (and easy) blingy button rings. 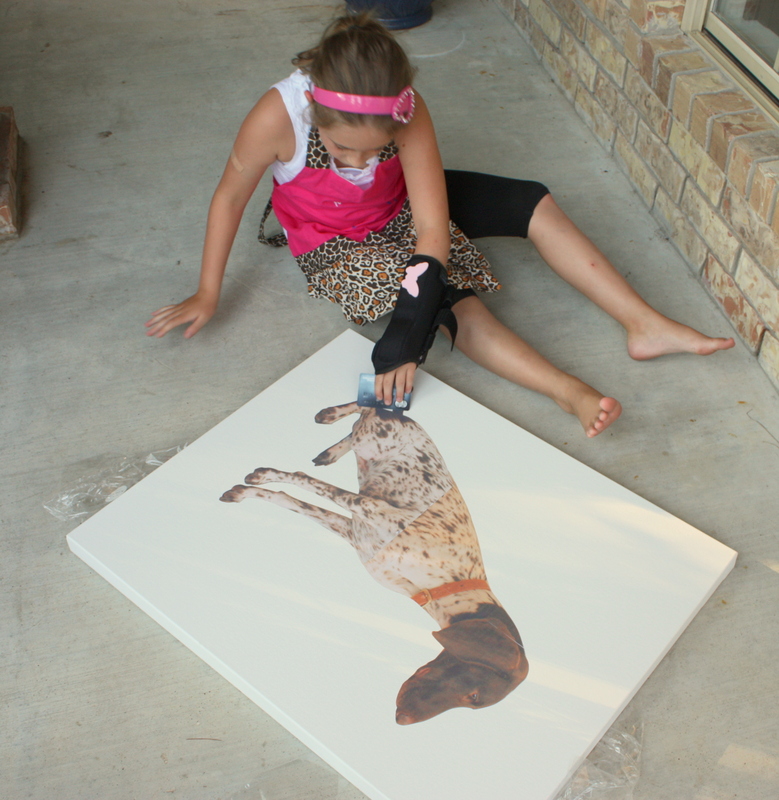 Making DIY pet silhouette art is another fun kid craft project and a great way to create fun wall art for their bedrooms. 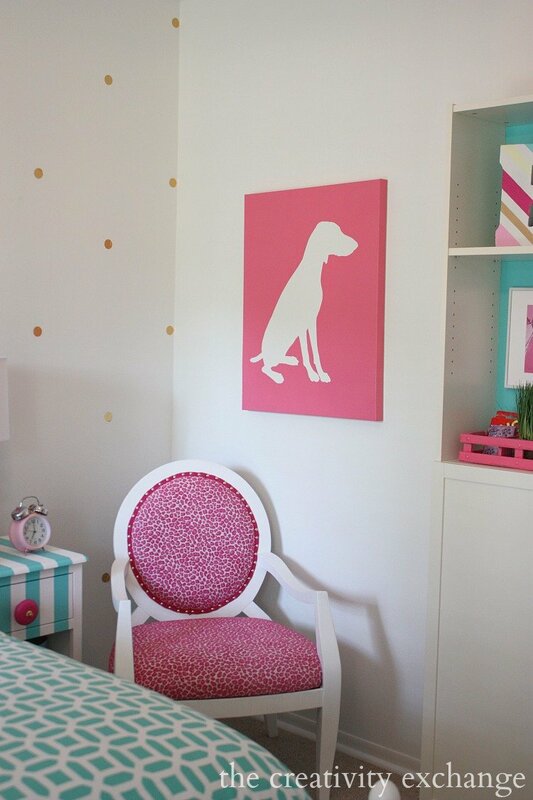 My daughter and I had so much fun making multiple silhouettes of our dog Ava over the years. 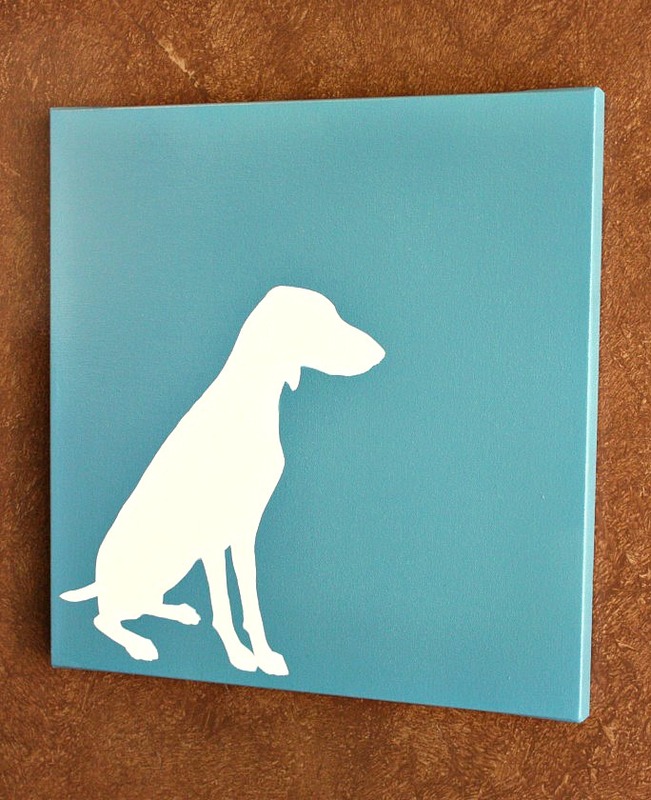 We’ve made both small and large canvas sizes. Create a beautiful doll house for hours of playing out of cardboard. 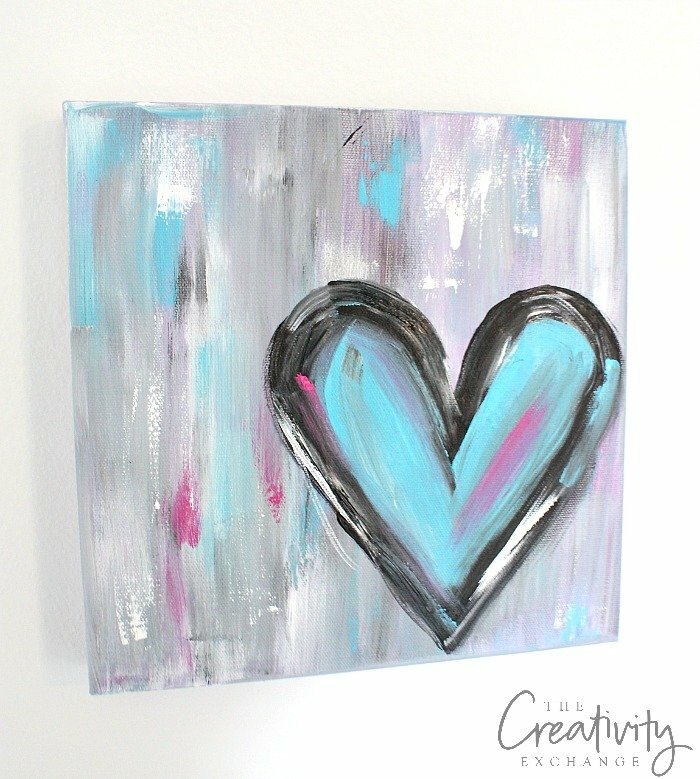 A couple months ago, I shared a very easy paint technique for making DIY heart paintings with acrylic paint. This is a very fun and easy craft project for both kids and adults and in my tutorial, I went into great detail with each step, so everyone can do it! 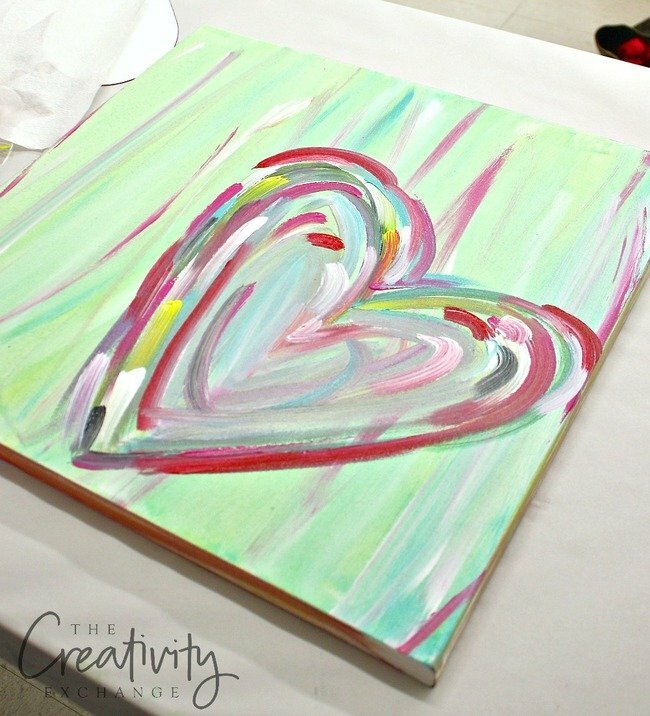 Another easy paint project for the kids to do is painting fun abstract art with watercolors. Again, in my tutorial and post, I went into great detail with each step to make sure that anyone can do this easy project. 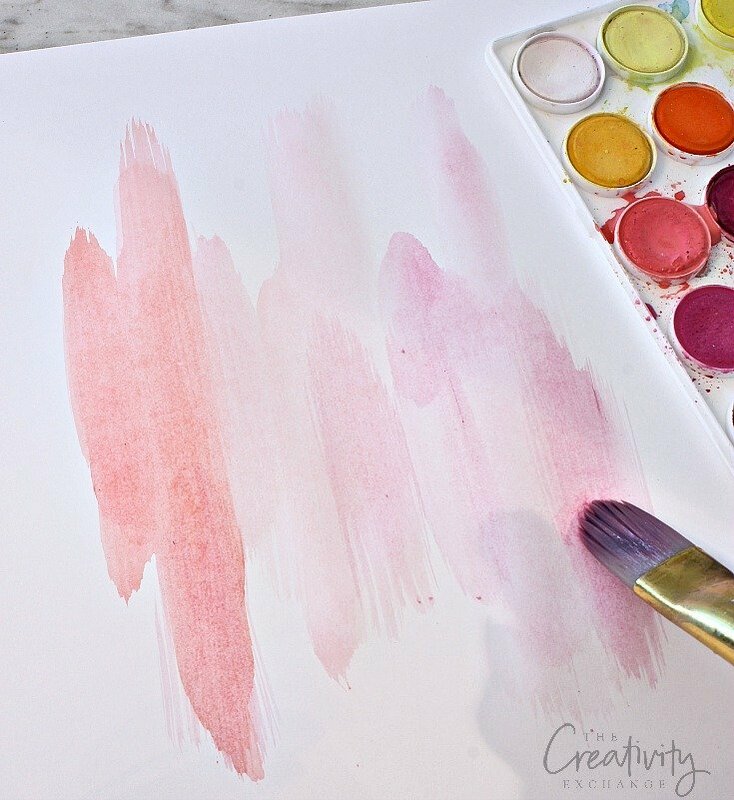 I also shared which inexpensive watercolor paints are the best and quick brush stroke basics. 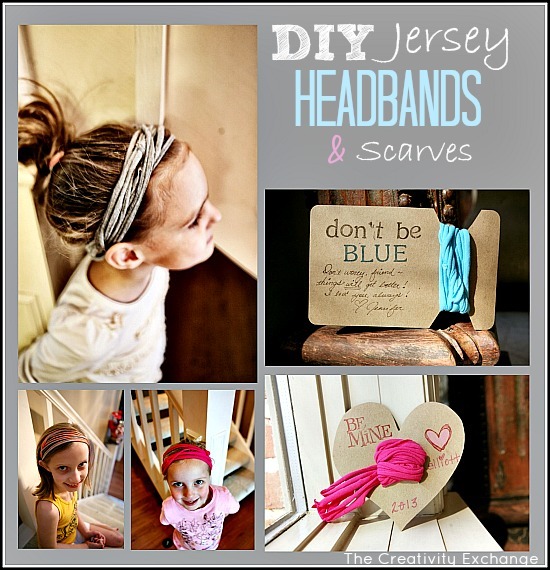 Making t-shirt headbands, belts or necklaces is another fun craft idea. It’s a great way to recycle those old t-shirts! 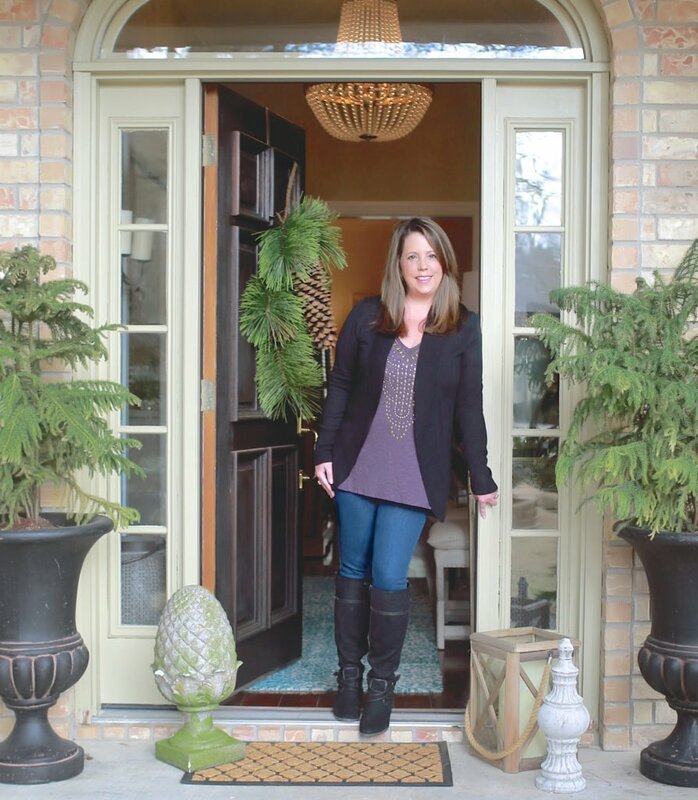 My friend Jennifer shared an awesome tutorial here on the blog for making them. 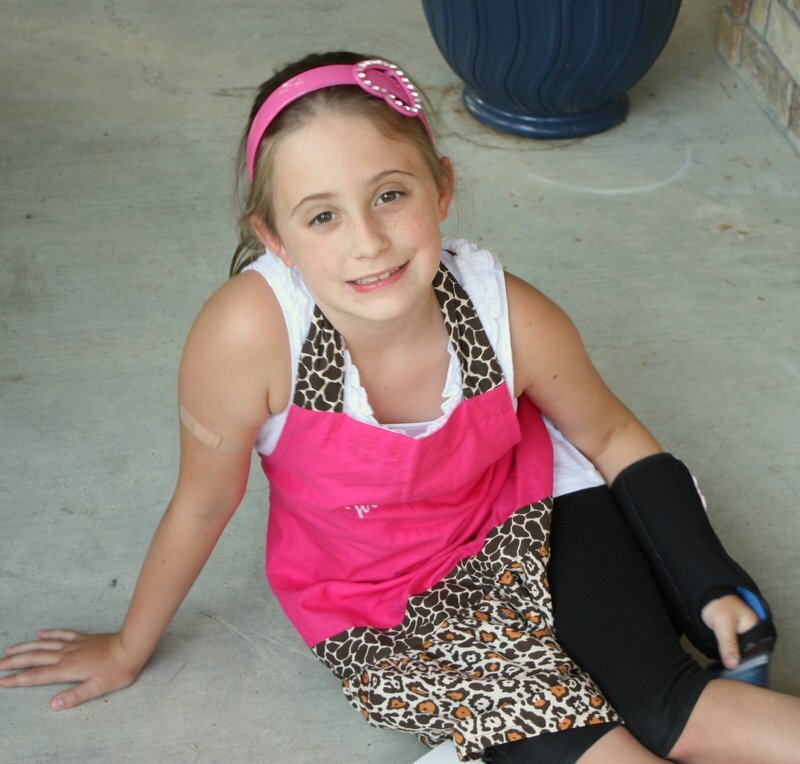 Another fun kid project is using screen print paints to create designs on tote bags, t-shirts and pretty much anything! 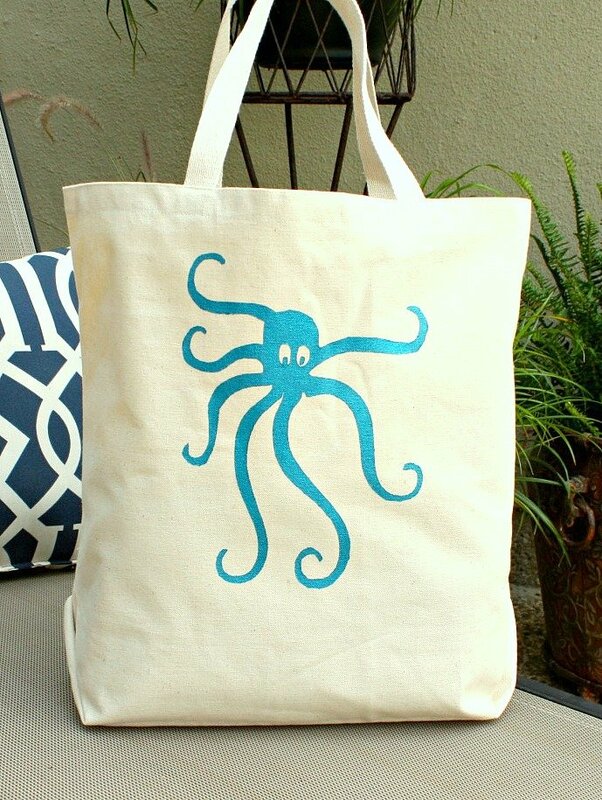 My daughter and I made this fun octopus tote bag with a free printable stencil that I shared in the post/tutorial. 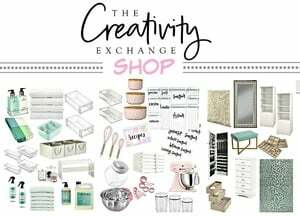 I have found some really creative kids craft projects throughout Blogland that I wanted to be sure and include today to give you guys more ideas. 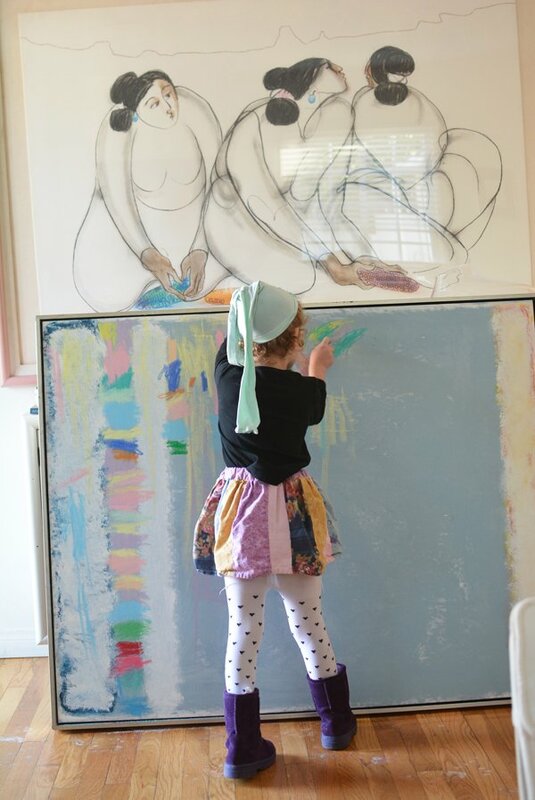 I LOVE this brilliant idea from Meri Cherry for buying an oversized painting at Goodwill/thrift store, spraying it with primer and then letting the kids create their own big masterpieces. 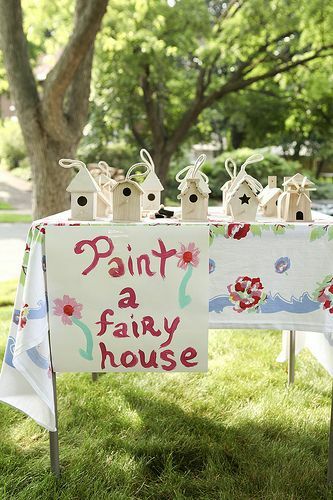 I have always loved this creative idea from Catch My Party for painting a “fairy house” out of unfinished wood birdhouses. So fun! If you want to look through even more creative craft projects for kids, I have a whole board on Pinterest here just for kids crafts.